Having mentioned this book in connection with Tribal Science, I’m posting my review of it here in spite of the fact that it has already appeared in slightly different forms in the Townsville Bulletin and in Waves, the newsletter of the Reef HQ Volunteers Association. James Woodford, already an award-winning environmental journalist with several books to his credit, decided in 2008 to tackle a really big subject, the two and a half thousand kilometre long Reef. Wanting to learn about it from those who know most about it and see parts of it that are usually out of reach, he signed on as a volunteer on scientific expeditions from the Australian Institute of Marine Science (AIMS) between the beginning of 2009 and the middle of 2010. It was a big commitment of time and effort (earning the scuba tickets he needed was a major exercise in itself) but it took him from Townsville past Lockhart River to Raine Island in the north, to the Swain Reefs in the south, to Heron and One Tree Island research stations, and even to Lord Howe Island, that last outpost of reef life far south of the Reef itself. Slightly sceptical about the impact on the Reef of global warming when he began, he was convinced – and deeply concerned – by the time he finished. One expedition member after another pointed out the dangers to him, and in August 2009 he heard their research summarised at a conference in Brisbane: “Speaker after speaker made one point clearly … we were already in dangerous territory with regard to CO2 levels … the question right now is not whether the reef will suffer, but rather how bad the injury will be.” But this is a relatively small element in Woodford’s book. He dives some spectacularly beautiful coral reefs, has close encounters with cyclones, sharks and turtles, and meets a great range of colourful people. 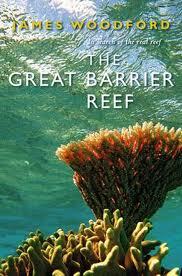 The Great Barrier Reef is very readable, details of reef science emerging naturally from Woodford’s conversations with scientists (endlessly passionate about their work) and the experiments and underwater life he observed. This is a book for all of us who live near the Reef yet know little about it, and for visitors who would like to take away more than a memory of dazzling beauty.